In June 2017 I was injured during a power lifting competition. Long story short, a negligent spotter dropped 245lbs on me and my left shoulder did not do to well with slowing it down. That WAS going to be the day I was going to lift over 900 lbs(+315 squat +245 bench +345 deadlift). I had been working all summer towards this, not much else to do when deployed, 2 hours a day, 4-5 days a week, I was making huge strides but it all went away in that very moment. It was nothing "serious" doctors said. Just a bad strain, nothing torn, nothing apparently damaged it just really hurt. 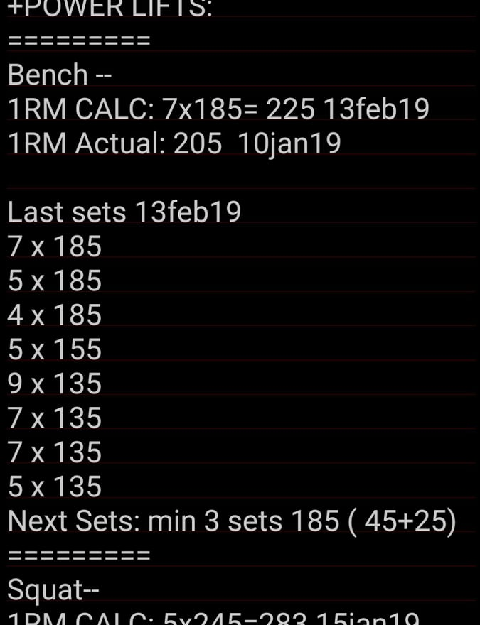 I took a few weeks off and then tried some lifting at less than 50% of my normal weights, it hurt and so I throttled back to 10% on chest days and just went through the motions with easy weights until it was time to return home. By the end of 2017 I had given up, I couldn't push myself without pain and I would just get mad doing 10% so I just quit for a year. End of 2018 I decided to get back into it AND I discovered the NF quest page! I've been ramping up, carefully but I feel like its finally ON! Yesterday I Just had the most intense Chest day I've had in over 1.5 Years. I just wouldn't quit the bench until I was burned out! 8 sets bench No pain! 3 sets of Dumbbell Flies ramping up to 45's I dropped the weight on the last set cautions of minimal discomfort but no real pain! Cable Tricep extensions until I trembled, No Pain. Dips... still weary of those but I got through it. It’s been 24 hours and no injury-type-pain feelings but do I feel DOMS starting to set in and the good-soreness intense by tomorrow. Way to go!!! Getting injured is one of the toughest things to come to terms with, and recovery is such a long slow process. I totally get where you’re coming from with the euphoria, I’d be exactly the same, lol! Well done.